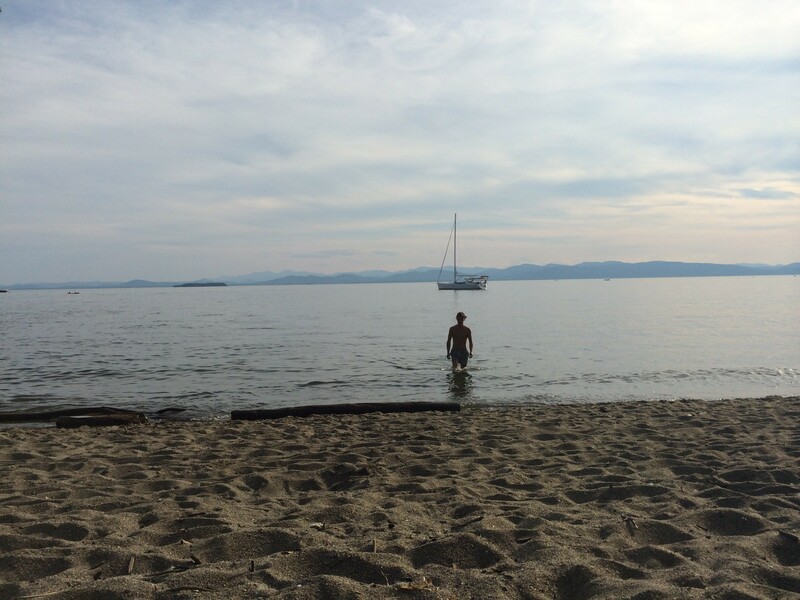 A swimmer at North Beach in Burlington. Pregnant women and the owners of "million-dollar yachts" figured into an emotional debate over whether to ban smoking at public parks and beaches. Ultimately, the Burlington City Council voted 8-4 Monday night not to crack down on people lighting up. It wasn't exactly a radical proposal. Hundreds of cities, including major ones such as New York, have passed similar bans, and Burlington banned smoking on Church Street last year. Proponents of extending the ban to public parks and beaches argued it was a natural — even belated — next step for a city lauded for its healthy habits. Describing the harmful effects of secondhand smoke, they sought to frame the debate as a question of public health, not class. "There is nothing wrong with telling people where it is appropriate to smoke and where it isn't," said Councilor Joan Shannon, who noted that the proposal dates back to 2009. Councilor Dave Hartnett, considered an advocate for the city's blue-collar constituencies, begged to differ. "Smoking is a class issue. Let's be honest," he said. If the council passed a ban, he argued, it would push poorer people to the margins. For instance: People would have to leave Waterfront Park to light up, while wealthy boat owners parked just offshore would be free to light up on their vessels. Shannon countered that without a ban, secondhand smoke could force "pregnant women, children and babies" and people like her — she has asthma — to leave parks and beaches. Prohibiting smoking, she continued, would "allow the most physically vulnerable in our community to enjoy a sunset on a rock." The ban would have allowed smoking in parking lots and on sidewalks adjacent to parks, and it would have given the parks director authority to carve out zones within a park where people would be permitted to smoke. In the end, the council voted to postpone a decision until after the city conducts a survey next summer, soliciting the opinion of park-goers. Councilor Chip Mason, who chairs the ordinance committee, noted that the committee has held four public meetings during which the members hadn't heard from anyone opposing the measure. Several people, including three Burlington High School students, spoke in favor of the ban during Monday's public forum, although not a single member of the public stuck around to hear the debate.